CARLOS POINTE BEACH CLUB ONLY: JUNE SPECIALS--CONSTRUCTION DISCOUNT STARTING FROM $650.00 PER WEEK INCLUDING ALL FEES AND TAXES. Weekly rates starting from $595.00-$1595.00 depending on date and location. Choose from our South beach location Carlos Pointe Beach Club OR our north beach location at Kona Beach Club. KONA BEACH CLUB:NORTH END 5 DAY MIN. 2nd Floor newly decorated condo at Kona Beach Club. Jog or walk the luxurious white sandy beach to the pier, restaurants, and the shops. Shopping, golf,boating, jet skiing, parasailing, biking, and other recreational equipment rentals are located nearby. And, of course, don’t forget to enjoy those gorgeous sunsets directly on the beach or from the pier just steps away. 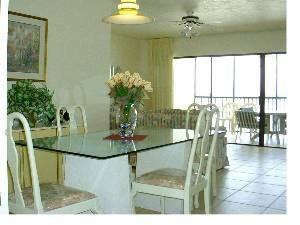 Newly redecorated 3rd and 4th floor waterfront condos located directly on the beach at Carlos Pointe Beach Club. 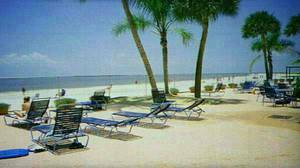 Rated #1 condos on Fort Myers Beach. Relax and lounge on our private white sandy beach while watching the dolphins play. Fish and comb the beach for shells. Listen to the gentle surf and toast the setting scarlet sun from your lanai in the evening. Swimmers are enticed into the ocean by its gentle waves just perfect for children. 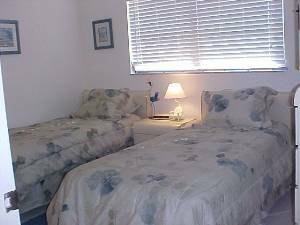 Two bedrooms, two baths and have a queen size sleeper (accommodates 6). 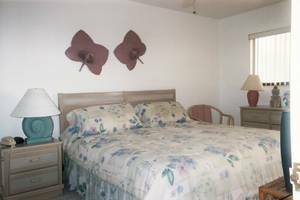 The master bedroom has a king-size bed, a full bath(tub-shower combination), a color TV and offers a views of the Gulf of Mexico. Enter the lanai through your patio doors located in the master suite or from the patio doors in the living room. The guest bedroom has two twin beds with its own bathroom. The kitchen is fully-equipped with a washer and dryer as well a refrigerator, an ice maker.microwave, glass top stove and all the conveniences of home. Just bring the food! The living room has a queen size convertible couch, cable television, a stereo, a VCR and a snack bar with stools. The patio doors located in both the living room and the master bedroom open to the screened-in balcony which overlooks the Gulf, the heated pool, volleyball nets, barbecue grills, and the beach. 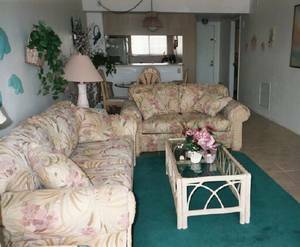 Note: If you are looking for an additional unit or more space, the owner of this condo has an additional unit which is in this same complex... please inquire! 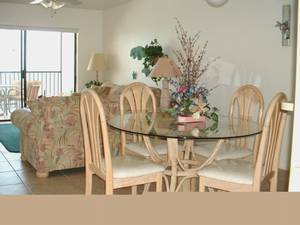 Contact Marcia or Wayne at Carlos Pointe Beach club rental properties: Call / Email Owner or Call / Email Owner Please leave a detailed message on my voice-mail with the reservation date. 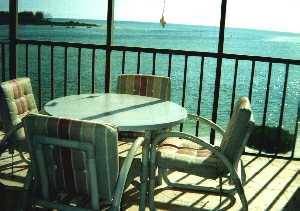 Ping pong, volleyball nets, outside shower, screened-in activities (on site or nearby): hiking, biking, fishing, wildlife viewing, golf, shopping, sightseeing, parasailing, jetskis, deep sea fishing, swimming, snorkeling & diving, water-skiing, boating, daytime cruises & dinner/dance cruises, offshore gambling, volleyball, ping pong & churches. We are at a perfect location to view the sunsets and the marine life! Breathtaking!!! Our picture perfect beach is just waiting for your arrival. It is private and clean. Bright,light and airy our livingroom overlooks the Gulf. All the comforts of home and much,much more. Paradise just steps away. It doesn't get any better!! Our new king size bed provides you total comfort as you listen to the lulling sounds of the Gulf. Our guestroom has 2 twin size beds and a 2nd bathroom. Our largest condo with an L-shaped livingroom and dining room. 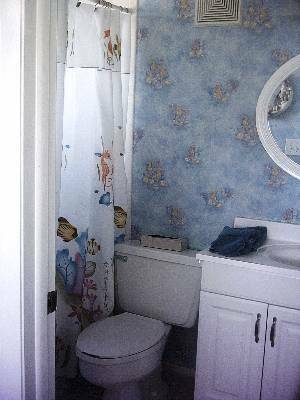 All of our condos has 2 full bathrooms! AVAILABILITY 2012 & 2013 . PRICES SUBJECT TO AVAILABILITY. AARP, Military, Clergy (discounts may not be combined-only one). ASK ABOUT OUR SPECIAL BONUS DISCOUNT!! Deposit: Once a request for a reservation has been made we will hold it for ten days in order for the security deposit to be received by mail. A security deposit of $200 is required to hold weekly accommodations. This is returned after the keys have been returned to us and the condo has been inspected. Cancellations and Refunds: The total rent is due prior to arrival. Keys and the directions are mailed approximately 2 weeks prior to the reservation date with in. In the event of cancellation, the deposit is refundable, however, any cancellation made after 60 days prior to the rental date will result in forfeiture of the $200.00 deposit. Any cancellation made less than 45 days prior to the rental date will result in forfeiture of the rental fee unless we are able to rent the condo. We will aggressively pursue renters for the condo but if we are unable to rent it then this will result in the loss of the rental fee. Please no pets as they are not permitted per order of the condominium association) max of six people. $35 to replace any lost key.